Researchers from ITMO University report that they have predicted personality features such as gender using data from an online gaming platform. This is one of the first studies of machine learning applied to a large amount of game data. The approach could improve personal game recommendation systems. It can also be used to identify gaming addiction. The results were presented at the AAAI Conference on Artificial Intelligence. 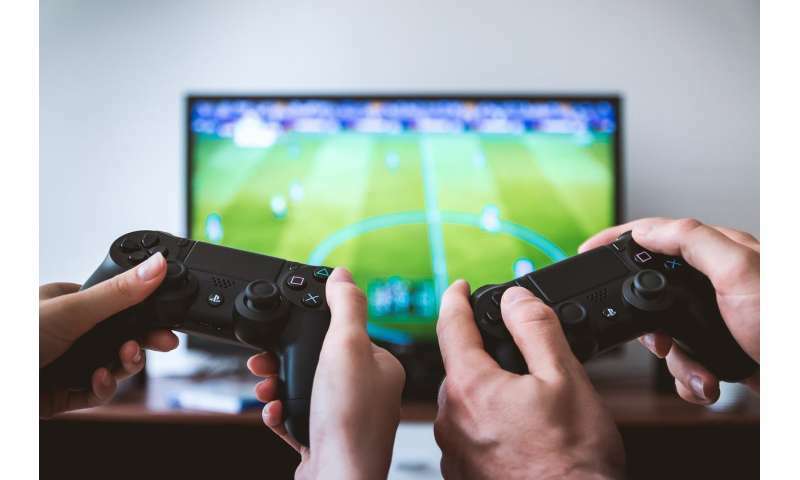 Video games are firmly established in popular culture, and the number of online and offline products for gaming platforms is growing day by day. In turn, users generate increasing amounts of data that can be used to develop models of game behavior or to determine personal characteristics. This is useful, for example, for early detection of gaming addiction, as well as for marketing research in the gaming field. Until now, the majority of gaming research was done manually on small datasets. However, in order to make statistically significant conclusions, it is necessary to analyze large data arrays. Scientists from ITMO University and National University of Singapore are now among the first using machine learning for this. Using the data they collected about the Steam gaming platform users behavior and a specially developed and trained model, scientists managed to predict the player's gender by the game behavior. The database for analysis was collected from the service Player.me, which provides information about Steam and social media accounts. Comparing user game data with their Twitter, Facebook and Instagram posts, researchers discovered links between game behavior and personal features. As a result, the model was built upon such features as time spent on the game, achievements, preferred game genres, in-game payments, etc. "The idea of my research is using game data to study human behavior in real life. Social networks seem to be a good source for this information. However, people think about their behavior in social networks: they choose what to post and weed out their thoughts. At the same time, while playing games, we behave as we would in real life without thinking much. And now, I have managed to confirm that the game data is related to the real characteristics of people," notes Ivan Samborskii, a graduate student at ITMO University. According to the scientists, the game data analysis can help to find out the interests, location, and demographics of users, as well as to assess how much time a person is willing to spend on games. Researchers will work to improve the resulting model, making predictions about users more accurate. Also, they plan to adopt the model for prediction of the game addiction. "On the internet, the identity of user is unknown, and often, we can only guess who is hiding under the avatar of the caustic commentator or under the nickname of the clan member. It is possible to lift the veil only by analyzing indirect signs, the user's online behavior. Determining who is on the other side of the monitor is important, both to the giants like Google, who get the main profit, correctly showing advertising, and to small online stores. An important and interesting question that arises is which data is sufficient for this. In our past research, we used texts, images, and even geolocation. However, the players' behavior is described by a very special language of the hours spent in games and obtained achievements." "Our research has shown that even this information is enough to predict the players' gender. Certainly, we will not stop on this single feature, but now, we have simply shown that game behavior can be analyzed and good predictive values can be obtained. In addition to the ubiquitous advertising personalization, good predictive models can be used in applied research: sociological, psychological, sports and medical," adds Andrey Filchenkov, head of the Machine Learning Group of the Computer Technologies laboratory at ITMO University.